Kellenberg Memorial High School and the Brother Joseph C. Fox Latin School are pleased to announce that twenty-three students were recognized either as Finalists or Place Winners in the March 22, 2017 Diocesan Respect Life Youth Awards Ceremony. Their submissions were selected from over a thousand entries island-wide. Among the students receiving monetary scholarships totaling $2,900.00 were First Place winners Grace Cooper ’19 (Music-Level II), Nina Dalli ’18 (Photography-Level II), Madeline DeMarco ’18 (Essay-Level II) and Theresa Fox ’19 (Photomontage-Level II). In the murals category, Halle Conklin ’18 and Juliana Roldan ’18 (Level II) captured Second Place. Additional Second Place winners included Ashley Harding ’18 and Olivia McNicholas ’20 for their Level II entries in Bookmark Design and Essay, respectively. Seizing Third Place honors were Willow Fitzpatrick-Murray ’19 (Photomontage-Level II) and Christian Licato ’18 (Music-Level II). 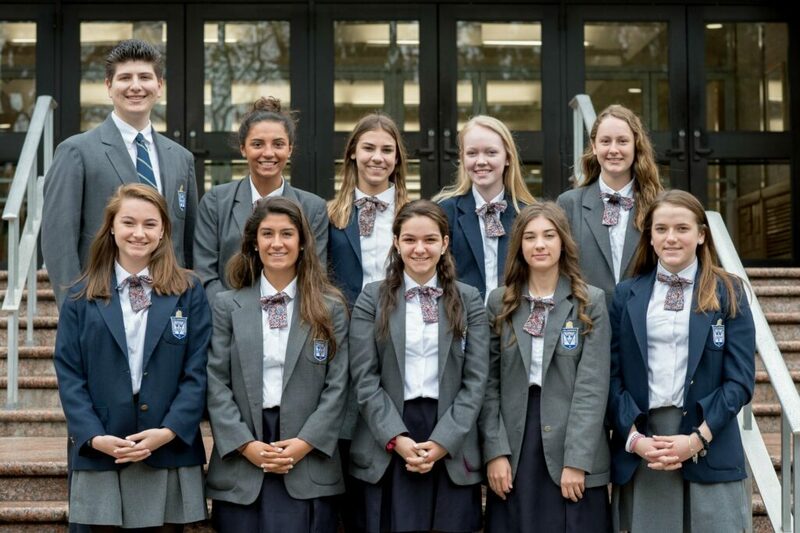 Top row L-R: Christian Licato, Juliana Roldan, Theresa Fox, Willow Fitzpatrick-Murray, Madeline DeMarco. Finalists included: Evan Carroll ’21 (Music-Level I); Christina Faber ’18, Tresa Karnati ’21, Madeline Latham ’19, Kaitlyn Remhild ’18, Ayden Rivera ’21, and Danielle Rodriguez ’19 (Bookmark Design-Levels I & II); Seamus Graham ’18 and Brian Russell ’21 (Poetry-Levels I & II); Mackenzie McAllister ’21 and Sean Denis Tortorella ’20 (Photography-Levels I & II); Jared Valluzzi ’21 (Photomontage-Level I) and Charles Kelly ’20 and Gabriella Rocco ’21 (Essay-Level I).